Amanda's Colour Creations: Sugar & Spice + Betty Boots New Release!! Not one, not two but FOURTEEN new Images!!! I so love these Gals and these new Images are Adorable!! And isn't she just a Sweet Heart!! Ohhhh doesn't Sugar look Fab as a Fairy!!! 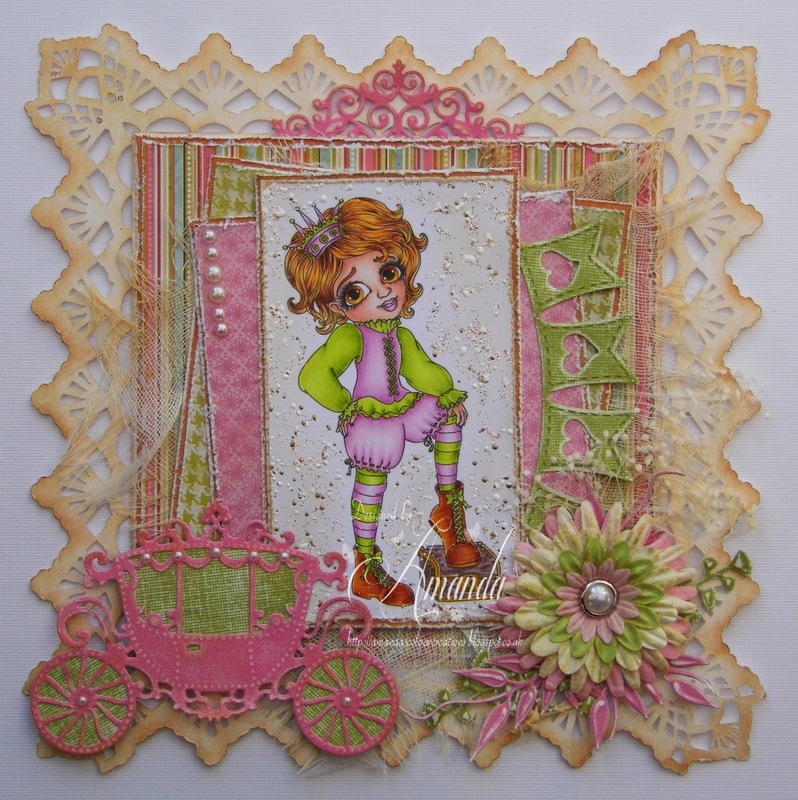 I made this card a month ago as a Sneaky Peek so you may have seen this card before but if not then here it is again. Wow! You have been busy! What a fabulous array of beautiful cards! Thank you for joining us at Southern Girls Challenges. Lovely cards! I couldn't decide on one! Such pretty cards with gorgeous images and details! Gorgeous cards, thanks for entering the purple one in the Cutie Pie challenge. Back for a second look, oh so pretty and oh so cute, thanks for joining us at Brown Sugar this week. Wow! These are spectacular! I love all of the dies that you used and your coloring is fantastic! Thanks for sharing at Love to Scrap.